Koji (as the mould is called before it’s mixed with rice) was used to make sake during the Asuka period (538 – 710 AD), and yellow koji is the most commonly used variety. Koji is first sprinkled evenly over steamed sake rice in a hot, humid room for between two to three days, after which there should be a sweet and distinctive nutty aroma coming from the rice. This is considered the most important part of the sake-making process, and the conditions of the koji-muro (the room where koji is made) are meticulously monitored by the toji (master brewer) to ensure this delicate process goes smoothly. Actually, there are two processes that happen simultaneously; while sake yeast eats sugars to produce alcohol, the koji works to convert the rest of the rice to sugar. While all this is happening, the koji also releases amino acids that give sake its characteristic umami flavour. As heat is generated while this is going on, the toji will need to make the necessary adjustments for the best tasting sake possible. Different stages of the process also require different temperatures, which is why knowledgeable and experienced brewers are highly sought after by sake breweries. 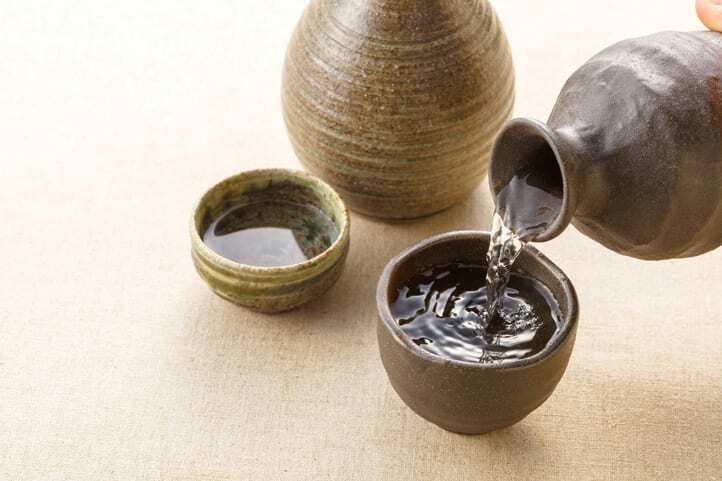 While some breweries may automate some part of this process by hand, the general perception is still that some of the finest quality sake is still made entirely by hand. If you have a chance, be sure to try some of these fine-quality sake prepared the traditional way!